Shackletons. A focus on design and service. This summer marked a new milestone for Shackletons. Yorkshire businessman and entrepreneur Anthony Ullmann acquired Shackletons of Dewsbury and became Chairman and Chief Executive. Shackletons has a rich history handcrafting quality furniture for nearly 60 years. At the heart of the company lies its commitment to comfort, British led design and manufacturing, high quality and outstanding customer service. Ullmann is dedicated to upholding its heritage as well as to pushing the business forward and further supporting its customers with new products and outstanding service. Following the recent acquisition, there has been a number of new recruits join the Shackletons team as well as a reshuffle of existing staff. The new personnel bolster the company’s sales, customer services and marketing function. First to join the business was Charlotte Hancock as Regional Sales Manager for the North West in June. Hancock has experience in the construction industry and sales, covering the north of England in her previous role. Next to join was Liam Cowling as the new Marketing Manager in July. Cowling has a wealth of marketing experience, working for global manufacturers, retailers and healthcare companies. He will focus on both the contract and retail operations. Joseph Ullmann joined the business in August as the new Regional Sales Manager for the North East. Working previously in property development, he brings a great deal of experience in property renovations to the company. August also saw the return of Jade Cox to the customer services team. Jade previously worked for Shackletons for five years before leaving. The entire team and customers are excited to have her back. The Customer Services team is now lead by Jen Bevan who will be focusing on supporting the sales team and forging strong relationships with customers. The team is also assuring that deliveries arrive on time and are responsive to all customer requests. The upcoming Care Show will mark Shackletons entering an exciting new chapter of the business. 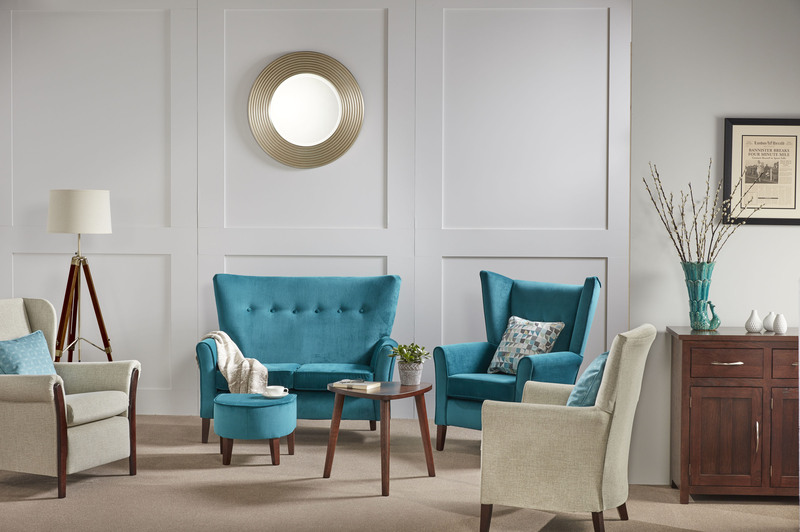 Shackletons will showcase their new furniture collection; one piece not to miss is the stunning Girona Wing Back chair. The beautifully curved wings and button backed details confirm the design-led future for the company. Shackletons will also be showing a selection of their existing range in stunning fabrics chosen by a leading care home interior designer. By choosing Shackletons, you can be confident that you have selected a crafted product which has been manufactured with care and dedication to your needs.